The Radioscience Laboratory of the Mechanical and Aerospace Engineering Department - University of Rome "Sapienza", lead by prof. Luciano Iess, is specialized in radio science, planetary geodesy and analysis of tracking data of interplanetary spacecraft. The team takes part in some of the most important ESA and NASA space missions, and has achieved significant scientific results in geophysics, orbit determination and fundamental physics, also in collaboration with other important research institutes. Prof. Iess participates to the Cassini's radioscience team. Cassini is an international space mission involving NASA, the European Space Agency (ESA) and the Italian Space Agency (ASI), together with many other european institutes and industrial partners. 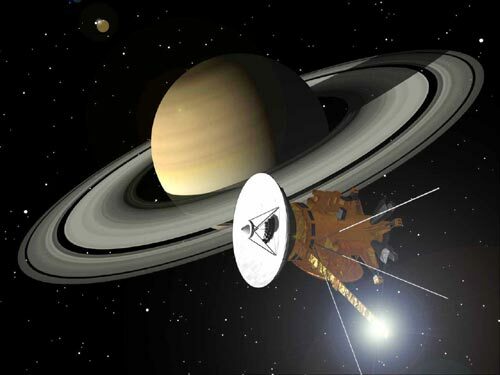 Until today, Cassini is the most expensive and ambitious interplanetary mission ever realized. About 260 scientists, from 17 countries, are working together with the aim of achieving a better understanding of Saturn, its amazing rings, its magnetosphere, its satellite Titan and the other icy satellites. In collaboration with prof. Bertotti of the University of Pavia and with prof. Tortora of the University of Bologna, prof. Iess carried out a radioscience experiment during the Cassini's cruise phase, which allowed to estimate with high precision the parameter γ and to confirm the general relativity with unprecedent accuracy. This result gained the cover of the scientific magazine "Nature", published on 25 September 2003. Furthermore, prof. Iess and his team have estimated, with significant accuracy, the gravity field of many Saturn's satellites and in particular of the most important one: Titan. The experiment, that is still on going, is aimed to constrain the Titan's interior model. Prof. Iess is the Principal Investigator of the BepiColombo radioscience experiment: MORE. BepiColombo is an interplanetary mission lead by the European Space Agency (ESA) in collaboration with the Japanese Space Agency (JAXA). 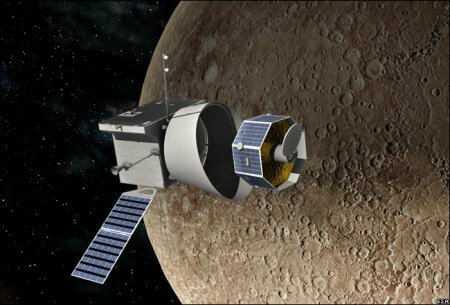 In 2014, two spacecraft (the european MPO and the japanese MMO) will be launched targeting the planet Mercury, around which they will orbit for 1 year, in 2021. In this mission, very complex and that will provide a highly valuable scientific return, Italy will play a major role: the Italian Space Agency (ASI) is funding the development of the transponder (the heart of the spacecraft's communication system) and four scientific experiments, among which the radioscience experiment MORE. The MORE experiment will be also participated by the team lead by prof. Milani (University of Pisa), the team lead by prof. Tortora (University of Bologna), and by several other international research institutes. The main scientific objectives of MORE are the determination of the Mercury's gravity field, its rotational state and its interior structure; the high-precision estimate of several key parameters of the general relativity theory, as γ, β, e η; and the determination of the spacecraft orbit with an accuracy never achieved before. Prof. Iess collaborates to the radioscience experiment of the NASA's JUNO mission. 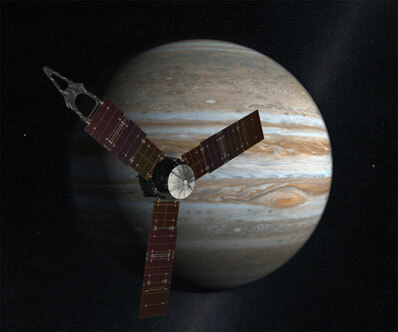 The mission, launched in August 2011, is aimed to improve our knowledge regarding the origin and evolution of Jupiter. Together with the scientific activity, Italy will provide JUNO with the Ka-band translator, the on-board instrument that will allow the acquisition of highly precise radiometric measurements, and that will play a key role in the JUNO radioscience experiment. 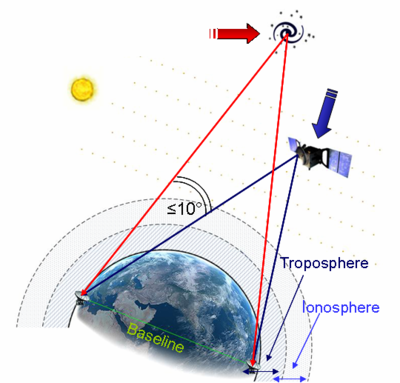 The Delta-Differential One-way Ranging (Delta-DOR), is a technique for measuring the angular position of a spacecraft in the sky. This technique allows to achieve a significant improvement in the determination of the spacecraft orbit, and plays a key role in the most crucial phases of a space mission (e.g. the spacecraft insertion in orbit around a planet). In 2005, our team developed the first european Delta-DOR software correlator, commissioned by the European Space Agency (ESA): this is the key element that, once acquired the data at the ground station, allows to produce the Delta-DOR measurements. Since its development, the Delta-DOR correlator has been used extensively by ESA, both to improve the orbit determination of its spacecrafts, and to give support to other space agencies, as NASA and the japanese JAXA. Finally, the Radioscience Laboratory collaborates with several important partners in the space industry, providing both specific software and dynamical models for space applications.